WildFly provides multiple ways to deploy your applications. In this post, we will deploy applications to WildFly using wildfly-maven-plugin. See my other posts to learn the other ways to do it. wildfly:deploy deploys the application to the application server. wildfly:deploy-only deploys the application to application server invoking no other goals by default. wildfly:deploy-artifact deploys an arbitrary artifact to the server. wildfly:redeploy-only redeploys the application invoking no other goals by default. 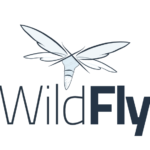 wildfly:run runs the application server and deploys your application. wildfly:start starts the application server and leaves the process running. In most cases the shutdown goal be executed to ensure the server is shutdown. wildfly:shutdown shuts down a running application server. wildfly:execute-commands executes commands on the running server. Each goal can be explicitly executed from the command line or specified in the execution portion of the plugin in the POM file. In this post, we will deploy applications to WildFly using wildfly-maven-plugin. 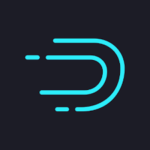 The plugin goals deploy, undeploy, and redeploy can be used to deploy, redeploy and undeploy applications to a WildFly. The first step is to add the appropriate configuration to your plugin configuration in the POM. To work with both local and remote WildFly, create two profiles with server configuration parameters. Now you will be able to deploy, undeploy, redeploy to WildFly using corresponding maven goals with specified profile using “-P <profile_name>”. Running mvn wildfly:deploy will deploy the application in local WildFly as we set the “wildfly-local” profile active by default. Above solution works but it has a security issue as we are setting the server credentials in pom.xml. While sharing your application codes, it breaches security. To fix this issue, set the profile configurations in maven’s settings.xml (can normally be found at ~/.m2/). That’s all for now. We have learn how to deploy applications to WildFly server (both local and remote) using the wildfly maven plugin and walked through couple of approaches to make the configuration clean. Have your say in comment section and feel free to share. And you are welcome to do experiments with other maven goals of the wildfly maven plugin.